Buying and selling your business can be a stressful, complicated and time-consuming project. A business broker is there to take some off the pressure away from you, make sure you get the best possible deal, and negotiate on your behalf. The main point of a business broker is that they act as an intermediary between sellers and buyers of a business. Dealing directly with the person you’re buying or selling from can feel a little daunting, especially if you haven’t done it before and you’re not experienced with negotiating techniques. The broker will be able to tell you if your price is too high, or whether the offer you’re thinking of making is likely to be deemed unreasonable by the seller. When you’re looking to invest, a business broker can help you find the right business. They should start by discussing your skills and interests, finding out exactly what you want from your business, and steering you in the direction of something that will suit you. You might even find that you change your mind after talking to a broker, and although you may have had your heart set on running a bed and breakfast, you could end up fired up with enthusiasm for a pub or even a petrol station! The right broker will be able to give you advice on the business sector that you’re interested in, as they will know the markets, the competition and the issues that affect either buying a business in that sector, or trying to sell one. You should be able to ask for their advice about pricing, finance and anything relating to the transaction. A good broker should screen potential businesses before taking them on, and make sure everything about the company is in order. If a seller hasn’t given full financial information, or refuses to reduce the price when a business is over-priced, a broker will often refuse to take them on. If you’re selling a business, it can be hard to tell the serious contenders from the speculators and “not-really-sures”. A broker will have seen it all before and be able to spot a serious buyer. A decent business broker should be able to identify the buyers who have the finances in place and the ability to take on and successfully run a business. One very important part of the process is negotiating, and a good business broker will be experienced in working on behalf of clients to ensure that they both get the best deal. Having a broker negotiating the agreement and helping to sort out any issues that come up can be really helpful, and avoids any breakdowns in communication. Some brokers offer tailored finance and insurance packages, either through their own companies, or trusted partners. The bonus is that the recommended financial partners are likely to understand the areas of business that you’re trying to buy into, and so can identify any potential pitfalls or opportunities that you might not have thought about. Selling and buying a business involves a huge amount of time-consuming paperwork, and handing this over to a professional means you have more time to get the plans in order, without worrying that you’re going to miss something crucial. A good business broker will be knowledgeable about all the laws and regulations affecting your business, and be able to handle the form filling and red tape involved in applying for licenses and permits. Just having someone who knows their stuff when it comes to the administrative side of things can really help speed up the process, and take away some of the stress. You don’t have to use a business broker when you’re looking for a business to buy, or even when you sell yours, in the same way that you don’t need to use an estate agent to sell a property. 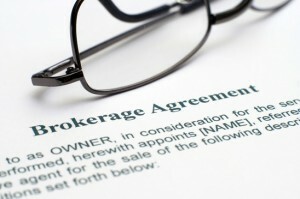 The broker is simply there to help make the process run smoothly from start to finish. About the author: Alexandra Johnson blogs about small business advice, investment opportunities and business growth. She works with Christie+Co as a consultant. Those are really neat tips. Just wanted to know that such a business broker, by profession, would he be a lawyer? Or does he take the help of lawyers as need be. My question is from the perspective that there are many legal items to be ticked off for buying and selling, so does it mean that the business broker needs to have better grasp of the prevailing law. And if so, be a lawyer himself or herself? In the UK at least, an individual business broker/agent doesn’t have to be a lawyer and usually isn’t, but business brokerage companies like Christie have in- house legal teams who work closely with the agents to ensure due diligence and legal compliance at all times. Does anyone know about Brokerage in the US for example? well there is a site called Flippa that doesn web site brokerage, however their work is completely automated. I don’t know, if you would count them as your ordinary brokerage. Thanks for this excellent overview. I was aware of business brokers but I didn’t know the extent and scope of their work. They are very much like real estate brokers from what you describe with many of the same advantages. I agree selling a business would be quite stressful, and not only that, it’s more likely than not that the business owner would need the guidance and all else that a professional can offer. It would be well worth it, in my view, not only for the peace of mind, but to make sure that you’re getting what your business is worth and to make sure that your financial and legal obligations are met. Plus the broker would have insider knowledge and connections that you as a business owner likely would not have. Thanks for sharing these great tips. It has given me a guide to knowing who a good broker is. But the point is how to get a good, reliable broker that will get things done just as your mentioned. These days, it seem not easy finding brokers who are selfless and are interested in getting the job done. I think this is an issue we will face in every aspect of life.. that is finding the right candidate for the job. But more or less, if we can look at the credentials of the person and the work that he or she has done in the past, it should be good. Of course, nothing beats a referral of some one you know, who has used a business broker. Hope this helps. Hi Alexandra! Thank you for sharing all these tips and helping me to better understand business brokers. I was wondering would domain name brokers be included in the same category as business brokers because these are the brokers I am most familiar with as I see them constantly trying to sell domain names. Also I was wondering what the normal price range is that you have to pay a broker? Do you pay them a commission when it sells or do you pay a fee for their service as well? I will leave it to Alexandra to answer the bulk of your queries, however, there is a small part which I can share. We had used a business broker in the past and their working was based on a fixed+variable. That is they had to be paid for the number of hours that they put in to get the job done, and in addition if we are able to achieve our milestone (profit, quick turnaround, etc.) then they get paid an additional variable amount. This variable amount would be a percentage of the money we make. This is a great overview. I read about this in my business class. My question is how does one go about becoming a business broker? Do you have to study business law? I think that this largely depends on the area that you wish to broker in. For example, thevirtualtraveller mentions that a person who buys and sells domains can also be looked at as a business broker, since he supports you in finding the right domain for your website… So, also a business broker between two law firms will have different sets of strengths, as compared to the one brokering between two IT firms. So, maybe you need to do a bit of research. Of course, Alexandra could enlighten the both of us further. you actually don’t. You only need to study business law, if you want to give a client an advice about specific law topic and get compensated for that. Hi, Alexandra! Thank you very much for sharing this interesting info with us! I have heard a bit about business brokers (not a lot, because I am somewhat young and I work in the writing field), but I found your tips very useful. Good info, like the one I found on your blog, helps everyone to take good choices. Great article Alexandra! Since I am very interested in this topic, I was wondering, if you could tell me, in what way are brokers usually compensated? I mean, do they take percentage of the final deal, or have a fixed cost or both? Another question I have in mind is, how long do they usually need to sell a small business? Thanks and keep up the good work!